Tin Mountain Conservation Center - Jackson NH and Mt. Washington Valley Area Information. Pumpkin People, Tradionally Yours Events, Lodging specials, Dining and Ski Area Info. To promote an appreciation of the natural environment…and to demonstrate responsible stewardship of natural resources. Tin Mountain Conservation Center is a non-profit environmental organization governed by an active Board of Trustees. A professional staff provides hands-on, year-round environmental education programming throughout the greater Mt. Washington Valley and western Maine. 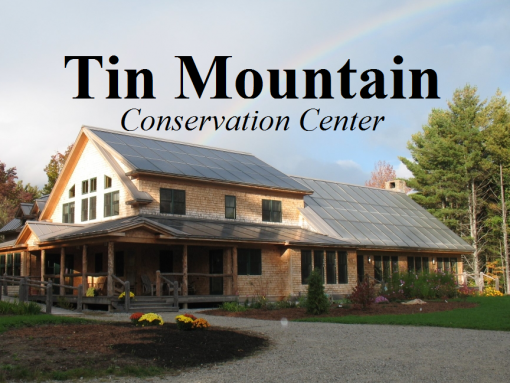 In 2006, a permanent home for Tin Mountain Conservation Center was built on Bald Hill in Albany, NH.